From 1890 onward when Colonial Medical Corps pharmacists took over from their forerunners namely the Naval Pharmacists, they were able to carry out the action which had already been undertaken, making a large contribution despite their small numbers to the humanitarian work of France overseas. Some of them lost their lives in these faraway places and many others had their own health or their family's completely ruined. The prospects of action for a colonial pharmacist were really thrilling ones as he would be assigned to very different duties which he had been prepared to fulfil in his training institutions with the acquisition of multidisciplinary skills. As a Colonial Pharmacist he was first and foremost in charge of securing health supplies for the hospital but also for the Central Depot of the Territorial Pharmacy. But because of his skills in the field of chemistry the range of his activities was much larger. His help was valued and appreciated in the fields of health and public health with the Overseas Pasteur Institutes and also of in the fields of Economy and Justice. When passing on his knowledge to his co-workers and to young trainees he was also a trainer. Research was the field of action of some of them in various but always essential fields. After the second world war with shortened times of delivery due to the development of airfreight services, government agencies and private companies started resorting to laboratories located in France. Industries had also their own quality control facilities set up. And then Colonial Pharmacists started being less frequently called upon for their skills in chemistry. In 1968, Colonial Pharmacists had to merge with the Military Central Corps of Pharmacists. And according to P. Acker* "They brought along with them into this new corps the appeal which they had for adventure and a non conformist and independent set of mind which could also be somewhat rebellious altogether with their traditional liking for struggle and for responsibilities which they had to take upon themselves". - The first of them named Victor Liotard* was born in 1858. In 1886 after a stint in Guyana he took part in the Sudan campaign under the command of Gallieni. In 1891 he selected the new Colonial Medical Corps and carried out a scientific mission in Congo. Later on, Savorgnan de Brazza gave him the responsibility of charting the Congo River catchment basin and to ensure the development of French influence in the Upper Nile Basin. This peaceful mission was a real success as it gave France possession of the Upper Oubangui Region and he became appointed governor of it in 1894. He left the medical corps and joined the colonial administration and then carried on his peaceful penetration towards the Upper Nile River Basin until the arrival of the Marchand mission which was to be stopped at Fachoda. Later on this former colonial pharmacist was successively appointed governor of Dahomey, then of New Caledonia and of Guinea. 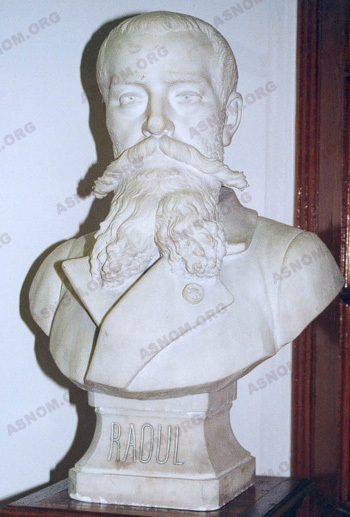 - Edouard Raoul* is an authority on the field of tropical agronomics. After completing six tours of duty overseas he joined the Colonial Medical corps which had recently been set up and became its first Chief of the Pharmacy Department. As a Professor at the Colonial Administration College in Paris he is the author of several specialized textbooks. He set up an agronomical garden in Tahiti and had the first heveas planted in Indochina. This cultivation was later developed by Yersin* and was a resounding success. Commissioned to go to the Dutch Indies in order to find samples of gutta-percha producing trees as this substance was widely used as an insulator for the first electric cables when he fell victim to a tropical disease and passed away in his familiar Brittany countryside. All colonial pharmacists but a few who had been recruited on the occasion of wars, were alumni of the Navy Medical School (Ecole de santé navale). With the many duties they had to fulfil, their numbers : 34 in 1890, 46 in 1906, 135 in 1954, have always been too small. By the early times of colonization, many times the Colonial Army Medical Corps Pharmacist was the only pharmacist in the colony and also the only trained chemist. He was living in the capital city but his field of action was the entire colony. He often concurrently held three main positions :pharmacist of the colony main hospital, manager of Colony central depot of pharmaceutical supplies, controller of private pharmacies when there was any. Like his colleagues holding the same position in France he had to make sure that regulations were enforced in all privately owned pharmacies. In the hospital he had to secure the supply of medications, of dressings and of medical equipment while anticipating the needs, and taking care of the storage and preparation of solutions, ointments, suppositories, pessaries, and also looking after their distribution. He was also running the biochemistry lab and whenever there was no biologist he was also in charge of carrying out all other tests in the fields of hematology, parasitology, bacteriology and immunology which had been requested him by physicians. But he had other responsibilities as well : in order to check that the water supply in the facility was safe he had to check and restore the filtering porcelain equipment to its initial condition. He was also in charge of the disinfection of buildings and pest control. When X rays equipment became available he looked after it, keeping it in good working order and later he was also in charge of developing films. In 1930, before the first arrival meteorologists, he also had to run the Weather Bureau of the colony. As a pharmacist, he was in charge of making available all health supplies which were needed for pre-emptive or curative actions. He was the wholesaler pharmacist and the one who distributed the supplies. Each year he placed an order to suppliers in France for medications and dressings, for medical, surgical and dental care equipments while taking into account his allocation of funds and keeping in mind that delivery times would be long as everything had to be shipped on slow freighters and then forwarded to their final destinations along dirt trails. He had to look after his supplies so that they could be safe in spite of the humidity and the heat of an aggressive climate. Medications which could not be shipped safely or which had a short expiration date such as syrups, antiseptic solutions, solutions for parenteral use, tablets, suppositories, pessaries, and even the rabies vaccine before the stabilized vaccine could be available, had to be made locally. To fulfill this duty this pharmacist found a valuable help with some native assistants who worked with him and sometimes with an auxiliary native pharmacist too. As the manager of supplies, the pharmacist, his assistants and secretaries were more likely to handle slips, invoices and inventories than medications and instruments. He was working with crates all around waiting to be checked and signed for or to be shipped as he had to supply all medical facilities of the colony with medications and equipments every three months. 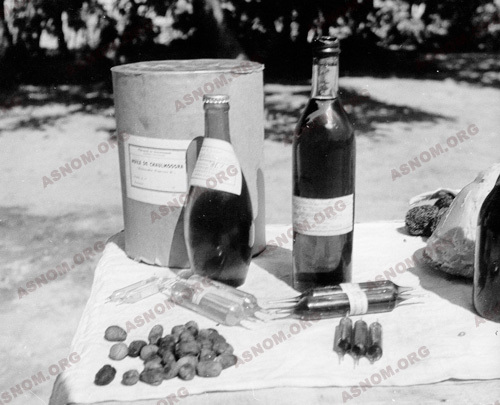 Vials and fragile equipment were carefully wrapped up and packed to prevent them from being broken while they were shipped along the trail on a truck or on a porter's back. One cannot figure the difficulties of working conditions which prevailed before 1930. Most of the equipment had to be stored in metal sheds. The only items that were stored in hard walled traditional warehouses were the flammable ones or those which could have been damaged by heat or humidity as the equipment for storage was only very basic. Light was supplied with Kerosene or oil lamps. Heating for preparation of medications was obtained with kerosene or spirit stoves. The pace of improvement of these working conditions was slower in Africa than in Indochina and was further delayed during WWII. When electric power became available kerosene powered refrigerators were replaced by electric ones and by cold rooms, making preservation of perishable items safer. Heating was also made easier with liquid gases. "The pharmacy was in M'Boulou, which you could reach after walking a full day through the forest and after climbing the sandy slopes of Caba along a trail for which good athletic skills were a prerequisite... finally I got to the M'Boulou clearing, which at that point in time, looked like a really miserable building site situated at the end of the railroad track which started by the shore of the ocean. Mayoumbe Central Pharmacy which is drenched out two hundred days a year by tepid rain showers coming with tornadoes, is located in a straw hut which has a roof made the native way where one can feel the sweltering heat and the squalid mold. Several junior pharmacists have followed one another there. With the help of workers hired by mere chance, the pharmacist unpacked crates, made shelves out of poor wood planks, filled demi-johns with potions he had prepared, and made "standard therapeutic solutions" which were appropriate to the local prevailing conditions. In a corner of this hut he had to carry out laboratory tests which he had been requested to do. Once a month or every two weeks he had to make arrangement for a supply party for all medical clinics along the Decauville track which he escorted all the way to M'Vouti where the labourers' camp was to be found. He took the orders and good notice of remarks made by physicians who were isolated and entirely on their own in the forest. They fed on canned food, their only entertainment was an old gramophone, a few books and also the mess whenever the atmosphere brought by a thundery weather in the equatorial forest did not make them too bad tempered and unable to socialize". His training had provided him with an expertise in all fields of chemistry : Biochemistry, analytic and mineral chemistries. He was also the expert in the fields of nutrition contents of hydrology and of toxicology. 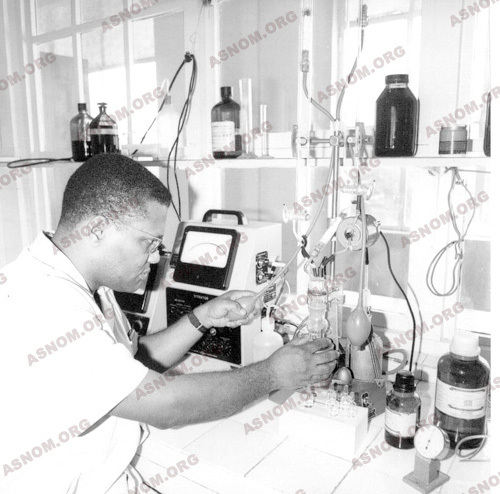 When the Overseas Pasteur Institutes got started these pharmacists had to set up biochemistry labs there. Working conditions were difficult. 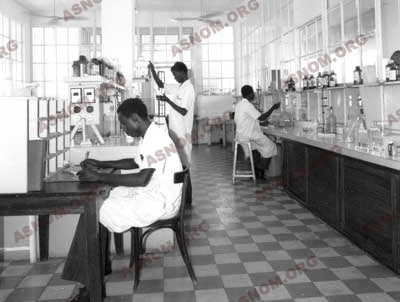 Beside the ones of the Pasteur Institutes the first labs of chemistry were set up by pharmacists in the Upper Volta in 1928 and in Chad in 1933. They were often the only buildings with glass windows. The equipment was a very basic one with retorts at first, but this was enough to carry out some volumetric or weight chemistry tests. When Pyrex equipment and electric power became available, hand powered centrifuges became obsolete and colorimeters were replaced by photometers and spectrophotometers. Because of their isolation pharmacists were in need of a scientific and technical support which they got after Cousin* and Ferré* had made a request for a Documentation and Investigation Centre which was set up at Le Pharo in 1936. In its early days it was dedicated to Pharmacy and Chemistry Sciences and brought Colonial Pharmacists updates on advances in their field. While in France between two successive tours of duty they could also bring to completion the work they had started on minerals and plants which had been harvested overseas. To ensure the good health of populations, he had to do tests on food products which had to meet the required standards and be non adulterated and non toxic. These products were the imported ones such as flours, vegetable oils, canned food, beverages), and those which had been locally produced such as bread, cakes, beers, soft drinks, rum, nuoc mam. He also had to set the standards which would make a legal basis for food regulations to come. On his lab's tiled work surface, one could see multiple miscellaneous samples. 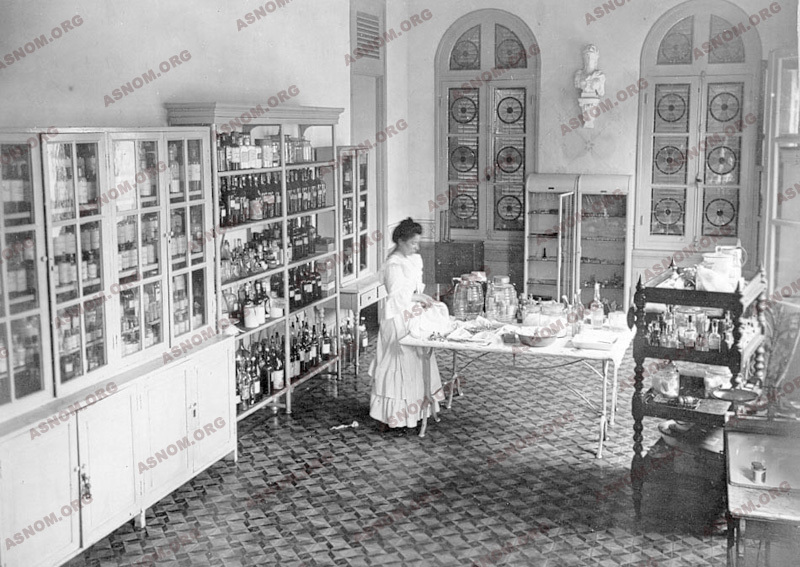 As the needs were important, federations of colonies and large territories such as Indochina and Madagascar had their own fraud repression laboratories put up which were run by a supervising pharmacist. As far as sanitation was concerned he had to check that the running water which was supplied could be safely drunk and was adequately chlorinated. He was an advisor for pest control (rats and insects such as cockroaches, ants, fleas, flies termites, mosquitoes) as products which were commonly in use for this, were quite toxic ones and had to be handled with care. The pharmacist was called upon whenever a chemical test was needed or deemed necessary. Such as for mineral samples which had been collected by the Mining and Geological Service or which he had found on his own. Bauxite ore was found by pharmacists in Guinea, tin and titanium ores in Cameroon, nickel and magnesium ores in New Caledonia. During WWII, Dufour* and Le Floch* reported their findings of titanium, niobium, molybdenum and platinum ores in Cameroon. - Making Calcium chloride for water chlorination, with chlorine obtained through the electrolysis of sea salt. - Making Ammonia and uric acid from urines collected in schools and barracks. - Investigations for a new automobile fuel, made from banana alcohol and castor oil. - Making of insulin from porcine pancreas. - Production of sodium sulphate through exploitation of a Niger deposit. - Production of quinine through extraction, and the making of quinine sulfate which was used for pill and injectable quinine chlorhydrate preparations. - Making of ethyl alcohol from fermented banana juice. - Fabrication of ointments with shea butter, which is still used today in the cosmetics industry. With no other facility available, pharmacists were summoned to give reports in the field of toxicology. In suspected crime cases they had to file cautious submissions as many vegetable poisons in tropical flora were still unknown. While carrying out experiments on animals they could determine a substance toxicity but could say nothing about its origin. Products resulting from digestion of poorly retted cassava, and of bamboo shoots containing cyanic acid, but arsenic, bismuth and mercury were also components of medications which at that point in time were used to treat tropical diseases. As there were only a few of them with poorly skilled workers to help them, they had to spend a lot of time training their native auxiliary staff. It could be either a custom training for an individual, which took place "on the job" in a pharmacy or in a lab, or a collective training which took place in an institution such as a nurse and midwife training school, or a medical school or the "Ecole d'Application du Pharo". - In Pondichery where pharmacy training was started in 1905. - In Antananarivo where future auxiliary Malagasy pharmacists started their training in 1897 with the opening of a medical academy. - In Hanoi a pharmacy department was started in 1914 for the training needs of Indochinese auxiliary pharmacists. Later on ,as of 1923 pharmacy students after completing the required curriculum were able to earn a degree in pharmacy which made them fully-fledged pharmacists .Professor Cousin* who had been a member of the faculty at "Le Pharo Institute" in Marseilles was posted to this Hanoi training institution and worked there full time. 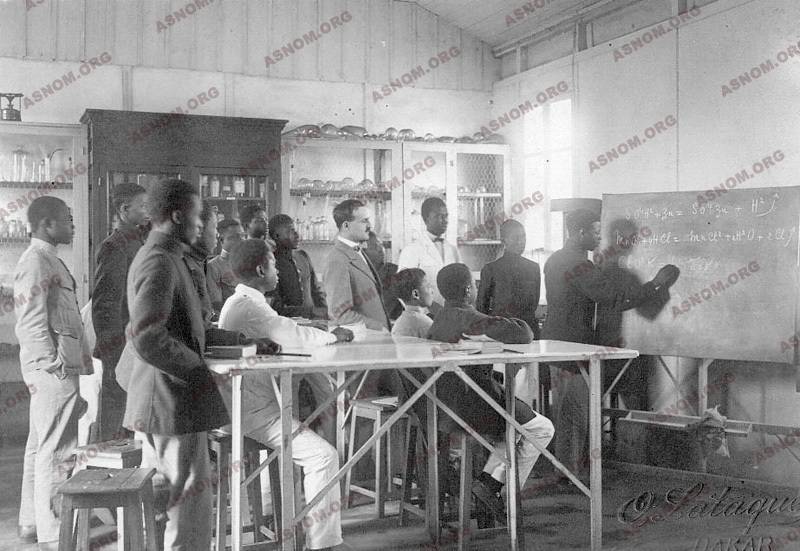 - In Dakar, eighty seven African auxiliary pharmacists were trained from 1918 to 1953. Then Dakar University Medical and Pharmacy School was started and took over. Altogether, Pille* and four other colonial pharmacists constituted the inner core of its faculty. Beside this professional training, with a governor's ruling, some of these pharmacists were assigned to teach chemistry, physics, biology when a new high school was started or whenever a teacher was defaulting. With all their knowledge and their scientific curiosity many among them ended up studying the environment and recorded their findings. Time and lack of equipment were limiting impediments except for a few of them who worked for Research Centres of the Colonial medical Corps, for Overseas Pasteur Institutes, or for international institutions or universities. Their scientific contribution has been important in numerous fields but mostly on the one hand in botany and the investigation of medicinal plants and on the other hand in diets and nutrition. Some colonial pharmacists attempted the acclimation in colonies of plants which were important for the economy and which originated from other tropical countries where France had to buy them such as gutta percha, cinchona... In keeping with the naval pharmacists' tradition, many colonial pharmacists carried on making an inventory of these unknown tropical floras and looked for potent medicinal plants. They were mostly interested in pharmacopeas of native traditional healers. 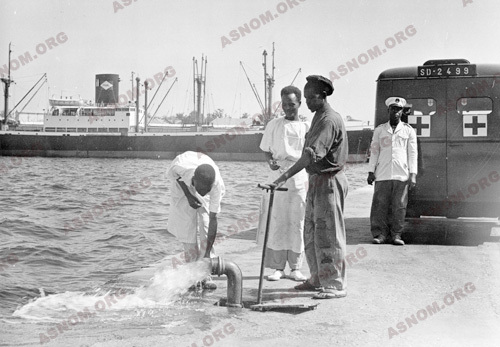 In 1935 Laffite* was assigned to an expedition in West Africa (AOF). He was exhausted after crossing and investigating Ivory Coast, Dahomey, Senegal and Sudan. He died in Kayes in 1940 after he had harvested several hundred plants which were of common use in traditional medicine : Their identification was double checked at the Natural History Museum in Paris and tests were carried out at "the Pharo's Center of Investigations" and at Paris School of Pharmacy for the determination of their components. In 1946 this mission resumed its activity and was given a new field of action with Kerharo*, Bouquet* and Debray* investigating Ivory Coast, Congo, Madagascar and New Caledonia with the sponsorship of the Overseas Scientific and Technical Research Institute. Several renowned textbooks describing their findings were written afterwards. In 1949 a colonial pharmacist by the name of Giboin* who was a member of the faculty of Pondichery Medical Academy wrote a doctoral dissertation for the needs of his PhD on "botany and materia medica in India" (Marseilles). In 1925 Lasnet* who was at the head of the Colonial Medical Corps thought that underfeeding was the main reason for "declining numbers in some native human races". He wrote the following "with their good expertise our colonial pharmacists should be able to successfully tackle the investigation of these difficult food hygiene issues". Before 1945 pharmacists, mostly in Overseas Pasteur Institutes, investigated local foods and made an assessment of their value for nutrition. In 1945 L. Pales* was entrusted to lead an anthropological mission , which was in charge of studying western African populations and which had a department named "Diet and Nutrition".This department acquired an identity of its own and in 1953 became known as the ORANA which was located in Dakar. Food ingredients and daily food intake problems were tackled by colonial physicians and pharmacists. Their findings contributed to the national as well as international awareness of the multidisciplinary characteristics of nutrition problems. In the meantime the lab of biochemistry at Le Pharo Research Institute with Busson* at its head, made new charts of food ingredients supplemented by the identification of amino acids which are constituents of proteins. In the nineteen sixties ORANA took up investigating the chemical constitution of a carcinogenic substance made by a peanut mold named aflatoxin which is highly concentrated in cattle-cake feeding. It was surely an important issue to address as peanuts constitute a major crop in Western Africa. Later on, several colonial pharmacists who had taken part in this research were given important positions in international organizations such as for Autret* with the Food Agricultural Organization where he was at the head of "Nutrition and Food Policies Department" , and also for his former trainees Ganzin* and Lunven* who came after him. - Determination of mean values of normal constituents of fluids (blood, urine, cerebrospinal fluid) in several human races such as the African and Indochinese races. - Research about Haemoglobin S which is the cause of a medical condition named Sickle Cell Anaemia, quite common among individuals of Black African Ancestry. - Developing new techniques of analytic chemistry either for the dosage of toxic medications or for curbing quality cheating. - Developing better tests for the diagnosis of Sleeping Sickness and its subsequent therapy follow up. 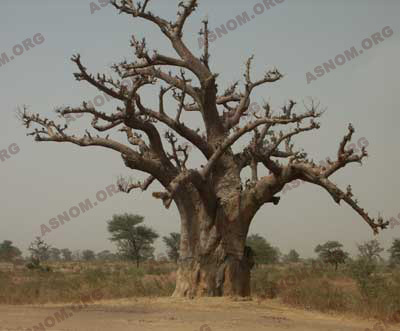 - Isolation from an African plant, conessin, which was used for amoebiasis treatment. - Research on the association of different medications for the therapy of conditions such as Leprosy. - Development of new vaccines for cholera, meningococcal meningitis. - Research in the field of entomology mostly with the study of vectors of tropical endemic diseases. - Investigations on snake species in India first, then in Togo by Giboin*, which enabled the Pasteur Institute to make anti-venomous sera. - In 1951 Bontemps* who was in Madagascar was assigned to board the hydro-graphic vessel "La Pérouse", bound for the Austral Territories with the picturesque duty of catching and bringing back with him some specimens of elephant seals. - Le Floch E. : Le pharmacien colonial. Histoire des médecins et pharmaciens de la Marine et des Colonies. P. Pluchon. Privat Éditeur,1985. - Acker P. : De l’apothycaire du Roy au pharmacien-chimiste des Armées. ORA Éditeur. Paris 1985.